It happens quite often that there is a part of hard drive that appears to be “Unallocated” or “Free”, which might be rarely known by many users. Unallocated space is in contrast to “allocated space” which is a portion of hard drive and stores data that is viewable to users. The unallocated or free drive space is invisible in Windows Explorer, but that space might be a normal partition containing files and folders before. 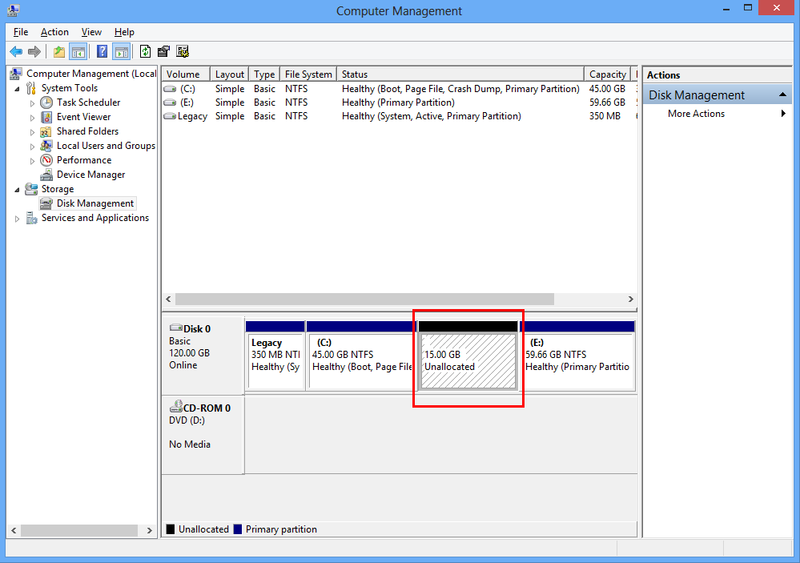 Here is a screenshot of Disk Management and there is 15GB unallocated space between partition C and E.
If you do not belong to those who backup files regularly and timely to avoid data loss, you need to learn data recovery skills to perform file recovery and partition recovery on your own. Eassos Recovery can be the ideal helper to deal with all kinds of data loss scenarios. 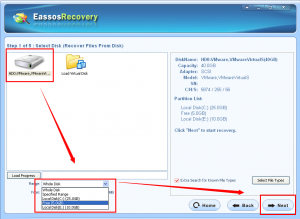 Eassos Recovery is able to recover files from unallocated space and free space, besides, it can recover deleted files, formatted files, recover lost or deleted partitions, recover files from inaccessible partitions (e.g. RAW partition), etc. Plus, Eassos Recovery supports the most storage devices, including IDE, SCSI, SATA, USB hard drive, RAID, USB flash disk, SD card, TF card, virtual disk files created by VMware, Virtual PC and VirtualBox. You can follow steps here to recover files from unallocated or free drive space. 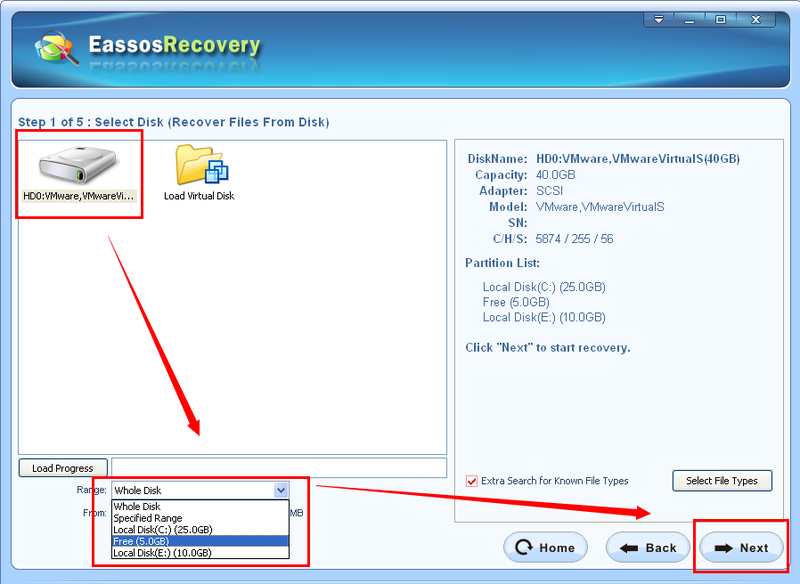 Get Eassos Recovery started and select the function “Recover Files From Disk” on its main interface. Then you’ll see the interface below. Select the hard drive and then click the drop-down list to select the “Free” disk space. 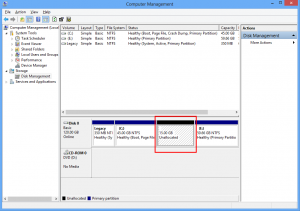 (Eassos Recover marks unallocated or free drive space as Free). Click “Next” button to start searching for lost files from unallocated or free space. After the scanning process is completed, you can select files you want to recover and copy them to a safe place. This entry was posted in Data Recovery and tagged Eassos Recovery, file recovery, partition recovery, recover files from unallocated space by EASSOS. Bookmark the permalink.